Gaze with sympathy at an illiterate savant who, in spite of his talents, found himself in circumstances beyond his simple understanding of the world (the “Black Sox Scandal”). Shoeless Joe Jackson struck out only 186 in 13 major league seasons – some of today’s players strike out that many times by August. 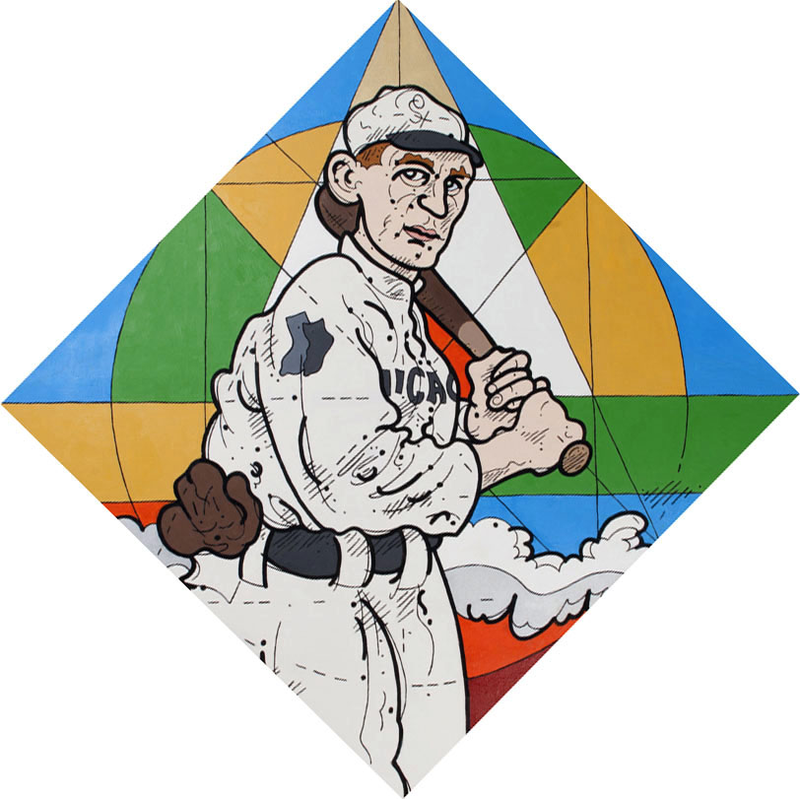 In this painting, the unique analysis and geometry of baseball is reiterated through line work and the diamond format. Is that a renaissance light of inspiration over his head? Or is it a dunce cap? Or is it some sort of tractor beam? Is that hell below? We may never know.